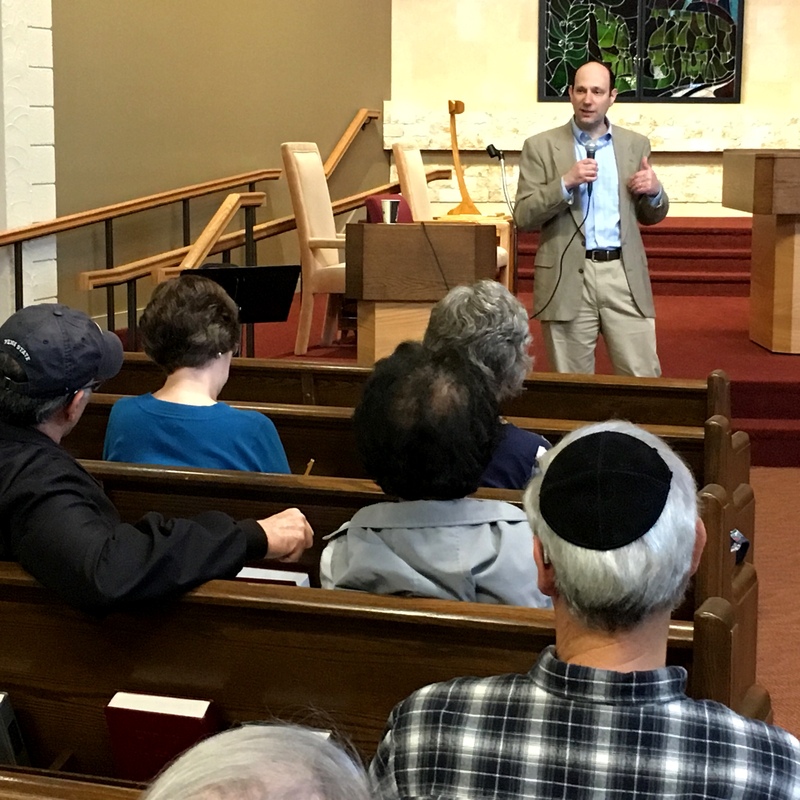 The Tikvat Israel adult education program includes educational courses, lectures and movie screenings designed to enrich the cultural and spiritual lives of our congregants. 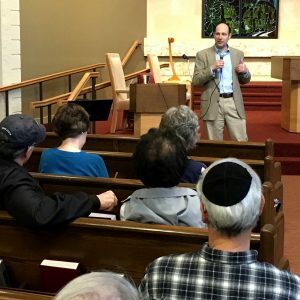 Programs focus on many aspects of Jewish life. Celebrating fourteen years of Israeli film excellence at TI, the best of recent Israeli cinema will be showcased during the 2019 edition of Israel Presents at Tikvat Israel Congregation on the final two Saturday nights of January. “Shelter” will be screened on Jan 19 and “Redemption” is set for Jan. 26. TI University: a morning of TED Talk-style learning, featuring TI congregants as instructors, beginning at 9:45 am, Sunday, February 24, 2019. Learning tracks include Arts & Culture, Business & Professional Development, Research & Development, Self Care and Lifestyle. Rabbi Ira Brandriss is continuing his year-long class “Sefer Chafetz Chaim on Laws of Loshon Hora.” Classes are scheduled at Tikvat Israel for several Wednesday nights. Congregant Barbara Ridberg will once again be enrolling adult students in her Hebrew language classes, through the Adult Hebrew Language Institute. 25 lessons of Melton classes begin, 6:30 pm – 9:00 pm. The Melton school is a global adult Jewish learning program created and directed by the Melton Center of the Hebrew University in Jerusalem. The inspiring, text-based course is open to anyone, teen-age or older, in the congregation and in the greater community. Class will break for minyan in the Library Annex at 7:30 pm. Prior registration is required. The Florence Melton School of Jewish Learning is the largest pluralistic adult Jewish education network in the world. Founded in 1980 at the initiative of Florence Zacks Melton, a community activist and longtime supporter of Jewish education, the Melton School initially opened with three pilot sites in North America. Driven by her vision, there are now 47 Melton Schools in 47 cities throughout the United States, Canada, United Kingdom, Australia, South Africa and New Zealand, attended weekly by some 5,500 students. For more information click here. Additional programs will be announced in the Bulletin, B’kesher, and our on-line forums. If you have ideas and energy, we’d love to have you on the Adult Education Committee. Make a difference. Share your vision.